A new entry in the Valkyria Chronicles series is on its way to the PlayStation 4 next February, in addition to a remaster of the original game, SEGA has revealed in the latest issue of Famitsu. 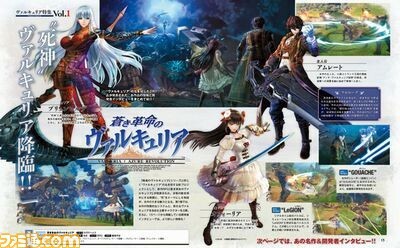 The PS4 title will be called Valkyria of the Blue Revolution. The Valkyria Chronicles remaster is set for a Feb. 10 release in Japan, and it will include of a demo of Blue Revolution, according to Eurogamer. We knew SEGA had something up its sleeves with regard to Valkyria Chronicles due to it trademarking several names related to the series over the past few months. There’s no word as of yet whether SEGA has plans to release the title in the West, as the third entry in the series never made it our way. However, as SEGA released the original Valkyria Chronicles on PC earlier this year, selling surprisingly well I might add, it gives us hope that SEGA could release it here.